In our fast-paced culture, we often want fast acting health solutions, but these often don’t increase our vibrancy in the long haul. On the other hand, tonic herbs work slowly by nourishing particular organs and improving their function over time. When it comes to the heart, hawthorn places such a role. It has many different actions on the heart, and while none of them are particularly strong, these actions support each other in a synergist manner to improve the functioning of the heart with long-term use. First, it nourishes the heart. By improving the flow of blood through the coronary arteries that feed the heart, hawthorn improves the delivery of nutrient to the cardiac cells. Hawthorn also contains proanthocyanidins, red-pigmented compounds that help maintain a healthy heart and arteries, by enhancing the connective tissue structure of their linings. As a calming herb, hawthorn also nourishes the heart on an emotional level. Hawthorn is especially chosen for heart issues that are connected to heartbreak in any way. In addition to these nourishing qualities, hawthorn gently acts to help prevent some of the most worrisome heart conditions. 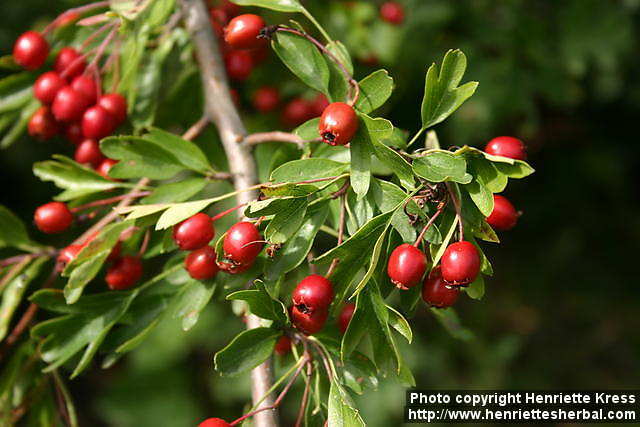 Hawthorn mildly reduces blood pressure, partially by increasing the dilation of blood vessels. Hawthorn also slightly reduces cholesterol and may help prevent atherosclerosis. It can also be useful for people with poor circulation and low blood pressure. This is because hawthorn can slightly improve the strength of the heart’s contractions. Multiple clinical trials have even shown that hawthorn can help ease some of the symptoms of congestive heart failure. Finally, hawthorn supports the normal rhythm of the heart. Since it does all of the actions in a gentle way, hawthorn alone is often not sufficient for serious heart issues, but because of its multiple, mutually supporting actions and nourishing qualities, hawthorn can be an important contributor to cardiovascular wellness. This entry was posted in Herbs and tagged cardiovascular disease, cardiovascular tonic, cholesterol, circulation, congestive heart failure, heart tonic, high blood pressure, hypertension, low blood pressure, vasodilation. Bookmark the permalink.